According to Samuel Huntington a new world political order began with the end of the Cold War. It would not be the great narratives of neo-liberalism or communism calling the shots in the twenty-first century, he declared, but conflicts between cultures. Wars between western nations and ideologies were a thing of the past; future conflicts would occur along the fault lines between cultures. Edward Said has argued, however, that with this notion of clashing cultures Huntingtdon has merely prolonged the Cold War’s aggressive rhetoric: instead of developing ideas that would facilitate a better understanding of cultural differences – how reconciliation or connection between civilizations might be effected, – Huntington has unfurled a political scenario of war and conflict, in particular that of the West against Islam. Huntington and his neo-liberal friends have as little comprehension of what culture entails as the conservative political parties in the Netherlands – the VVD, Rita Verdonk’s Trots op Nederland, the Lijst Pim Fortuyn and Geert Wilders’ Partij voor de Vrijheid. Problematic differences between cultures aside, it is essential to understand that cultures are perpetually changing. Culture cannot be one unadulterated entity, particularly in a globalized world where everything is connected with everything else. There is not one civilization that is homogenous in nature for this is at odds with the complexity of elements and radical hybridism characteristic of every culture. When one culture is set against other cultures and downgraded as anti-Western, the fact that Islam, like Western civilization, has its own internal dynamic and pluriform character is forgotten. Rita Verdonk may not know it, but the Sinterklaas celebrations she lauds as typically Dutch have their roots in Turkey, for St Nicolas came from Turkey and died in Italy. The tulips for which ‘we Dutch’ are famous are also Turkish in origin. What the right conveniently forgets to mention is that traditions are constructed ad hoc and are, in fact, far from stable. Right-wing groups in the Netherlands – like Islamic fundamentalists – produce a drastically simplified map of the world that emphasizes conflict. It supports the theory of a complacent, closed world in which every race has its own destiny and identity. It puts one’s own culture first, at the expense of other people’s culture. Researchers have recently established that young Muslims find this hard to handle, for they feel they have to chose between adapting completely to Dutch morals and mores or returning to their land of origin; they would like to participate in society on their own terms but do not always know how to do so. This can lead to social isolation or radicalization, say researchers. Political, Architectural and Social Transformations. Innocent houses of worship or bulwarks of fundamentalism? 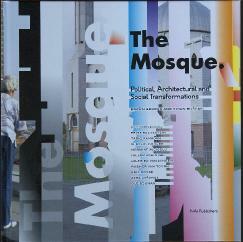 We all have our own ideas about mosques, and many of those ideas go beyond the domain of architecture. In Europe, mosques are a central issue in the debates about the integration of Muslims and the potential dangers of Islam. In recent years, such debates have often edged out serious architectural discussion of European mosques, and the domes and minarets of traditional mosque architecture have come to symbolize this entire field of controversy.